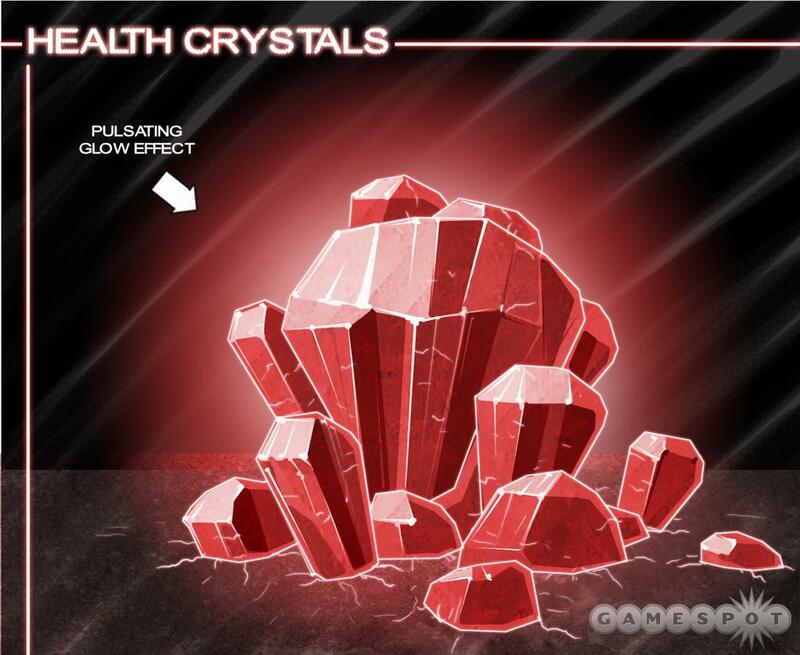 Concept art of Health Crystals. From Gamespot. 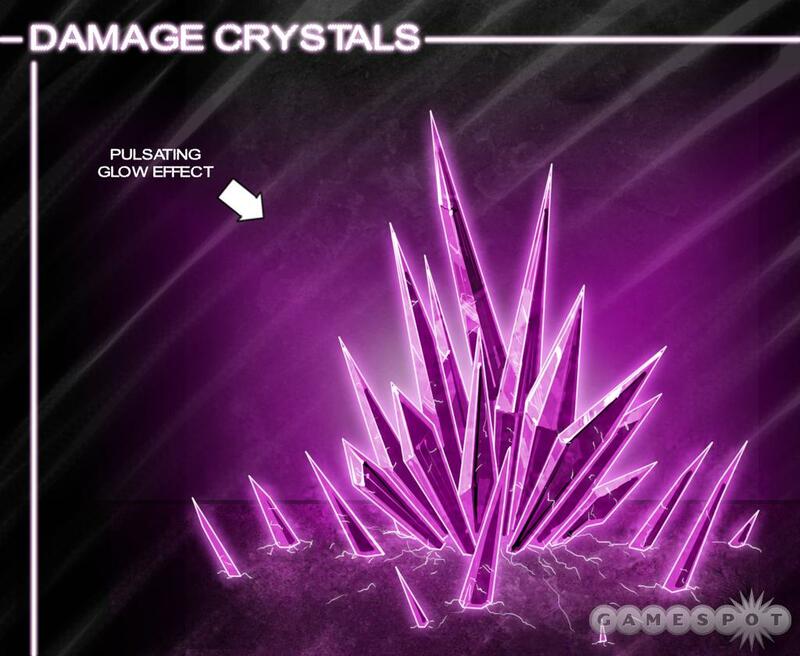 Concept art of Damage Crystals. From Gamespot. 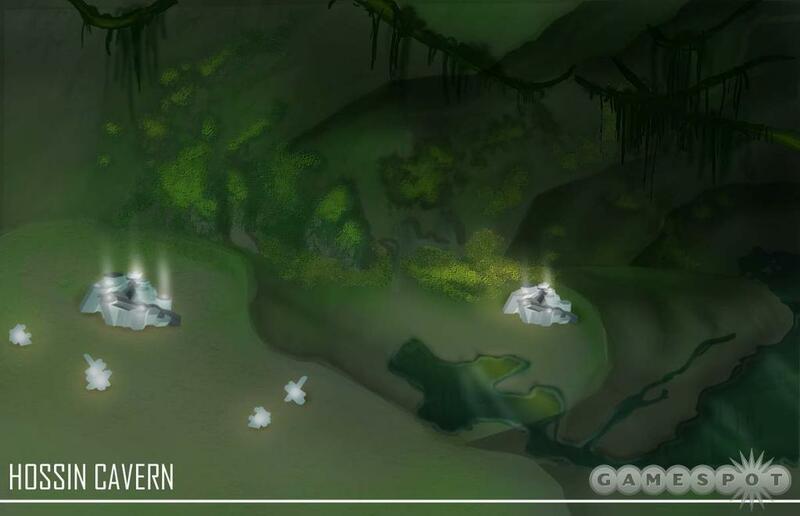 Detailed concept art of a cavern wall in the Hossin cavern. From Gamespot. 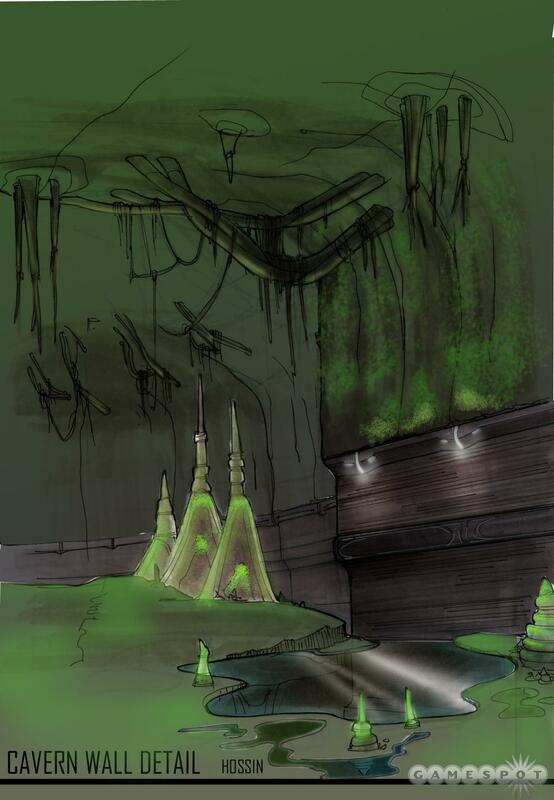 Concept art of the Hossin Cavern. From Gamespot. 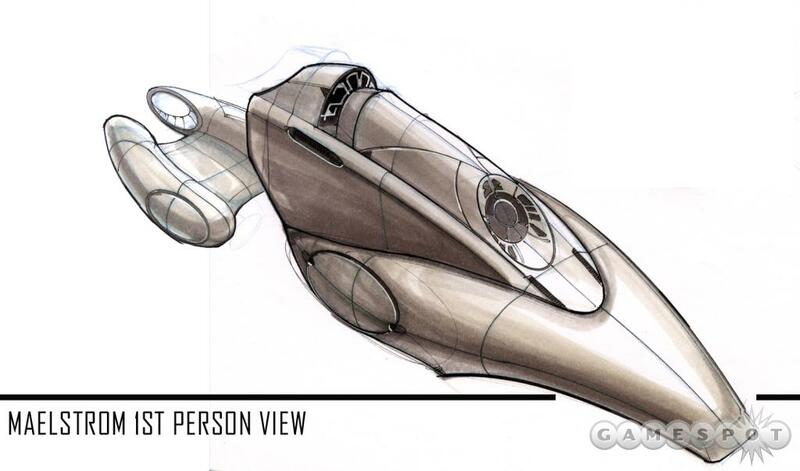 Concept art of the vehicle Switchblade. From Gamespot. 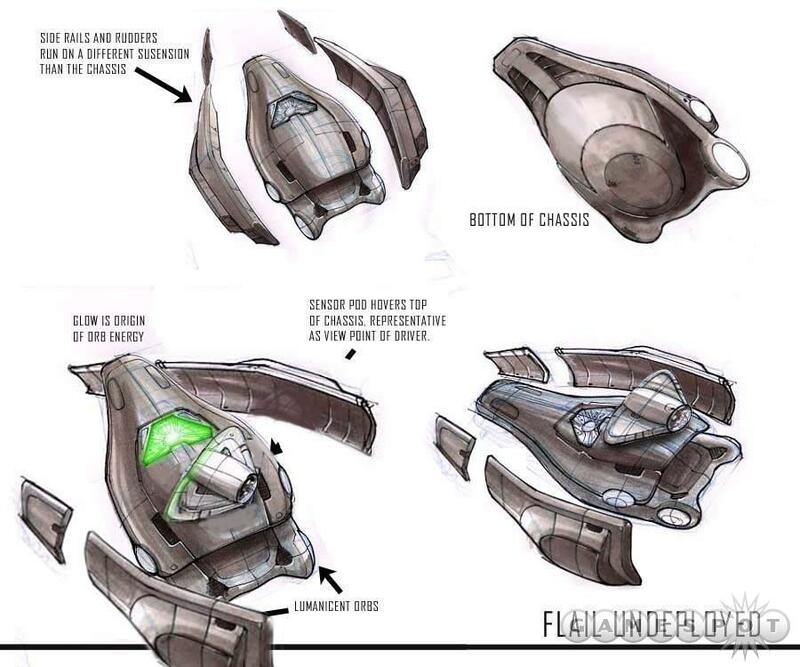 Concept art of the mobile artillery vehicle, Flail. From Gamespot. 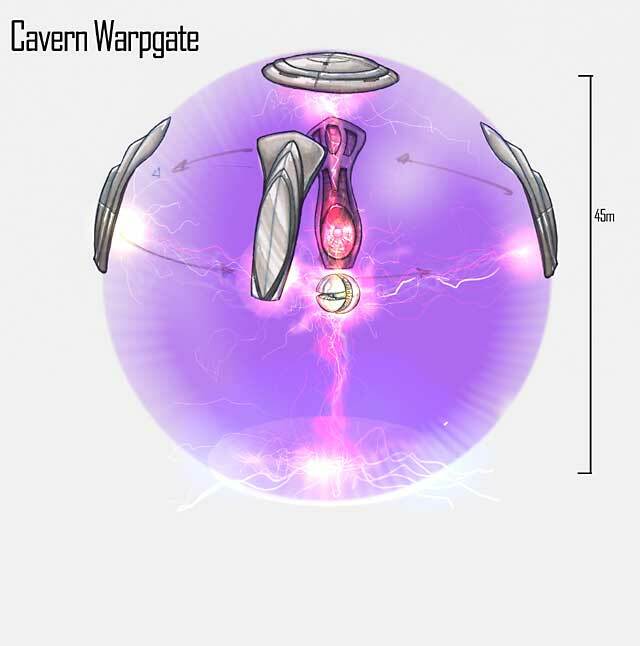 Concept art of the weapon Maelstrom, view from below. From Gamespot. 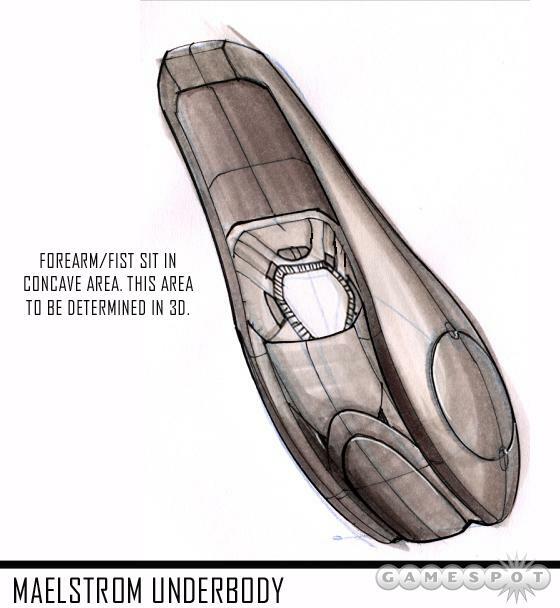 Concept art of the weapon Maelstrom. From Gamespot.